Most experiences you have with companies in the world are horrible. When's the last time you felt passionate about your power company, or your mobile phone provider? That's not the world that we (and hopefully you) want to live in. Let us help you grow happy customers. With Customer.io you'll see that happy customers come from genuine, relevant interactions with you. Happy customers care about your company. Happy customers are happy to pay you. And happy customers tell their friends. The power of Infusionsoft, but easier to use than MailChimp. ConvertKit is a marketing automation platform design and created specifically for professional bloggers. Create segments and automation sequences to easily send emails to the right people in your list. Create sequences of emails or single “broadcast” emails to easily communicate with your list. 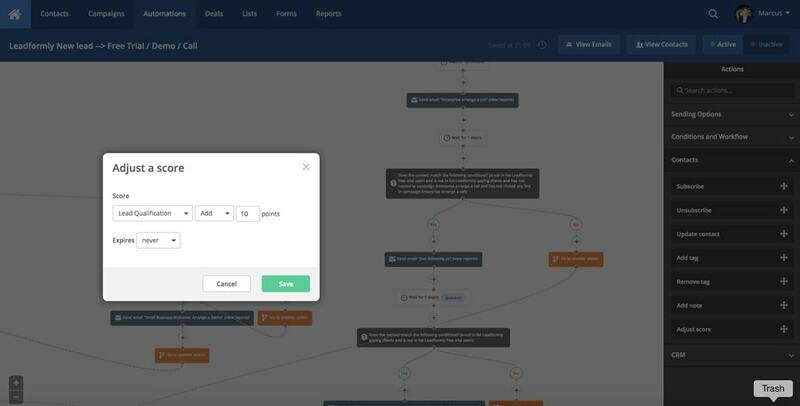 ConvertKit is designed to prevent paying for duplicate subscribers and with their marketing automation blueprints, getting started in marketing automation has never been easier.